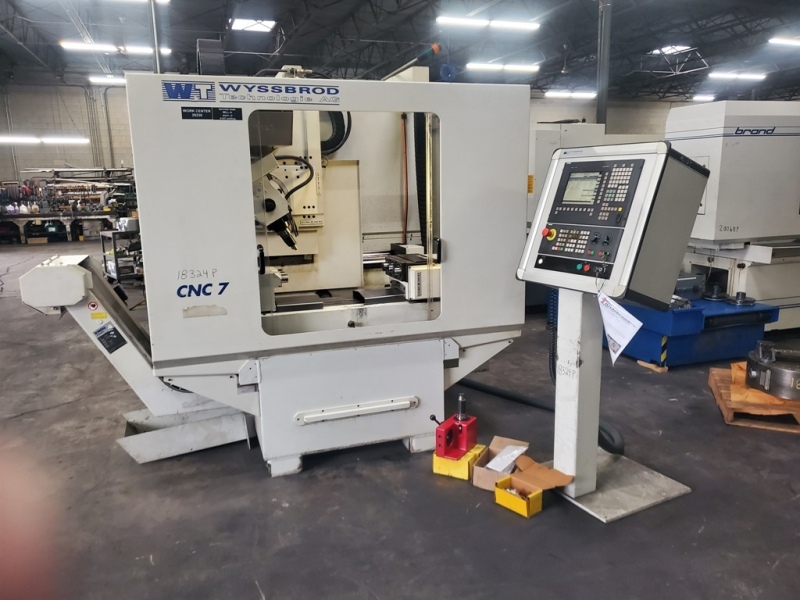 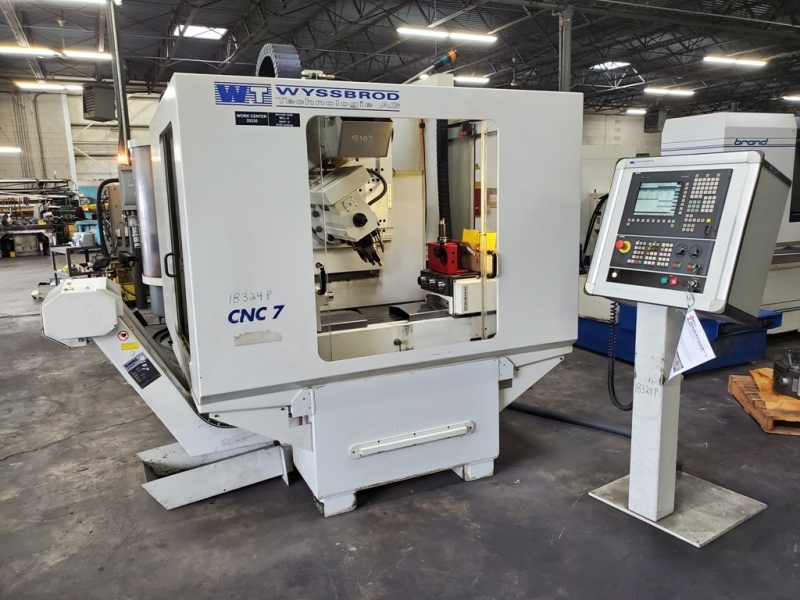 The Model CNC 7 is a 3 spindle vertical milling machine that allows for manual index of the milling head. 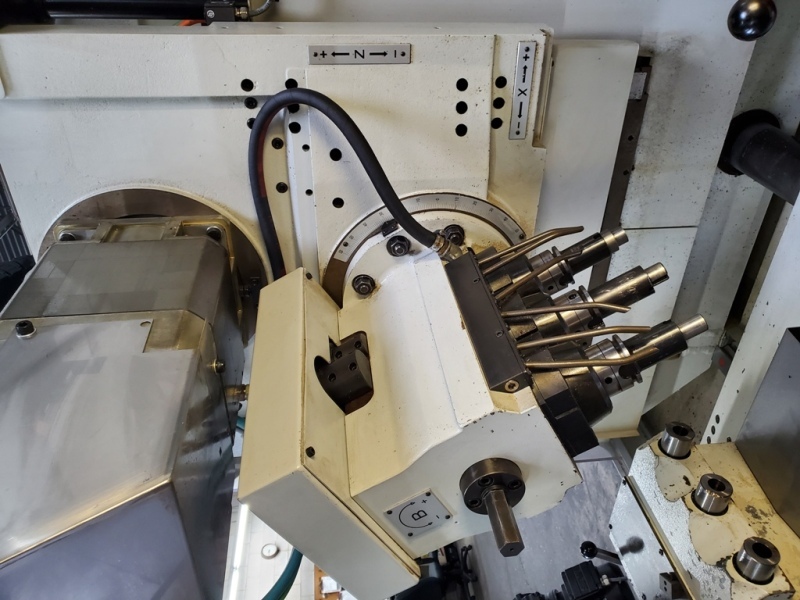 There is a programmable 3 position A-Axis fixture with tailstock that allows for various helixes and other slotting operations. 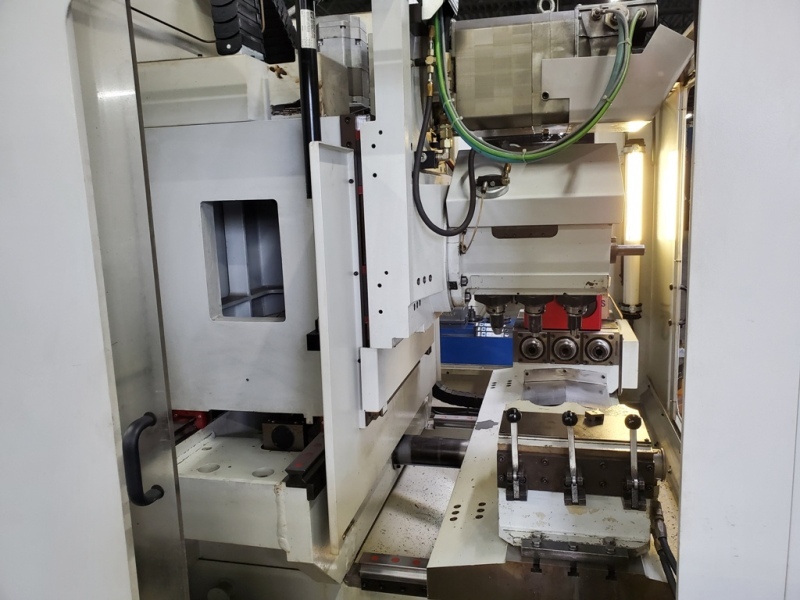 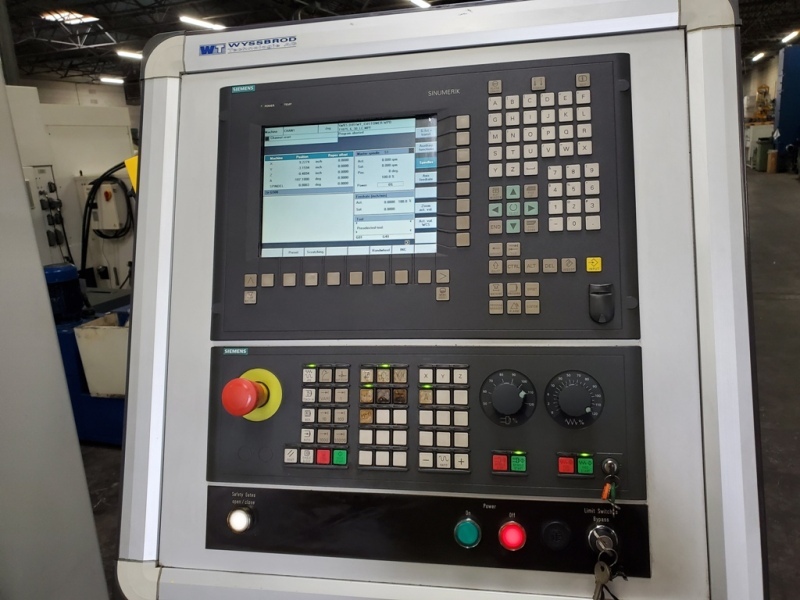 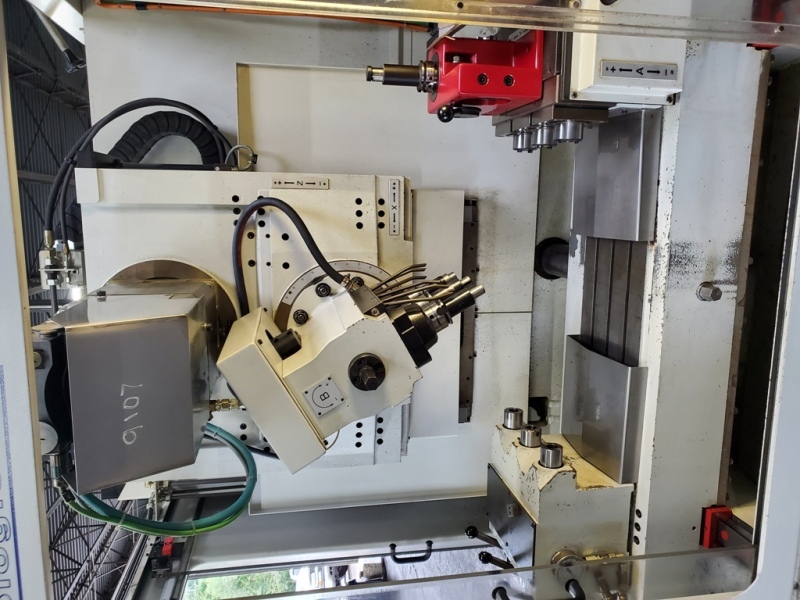 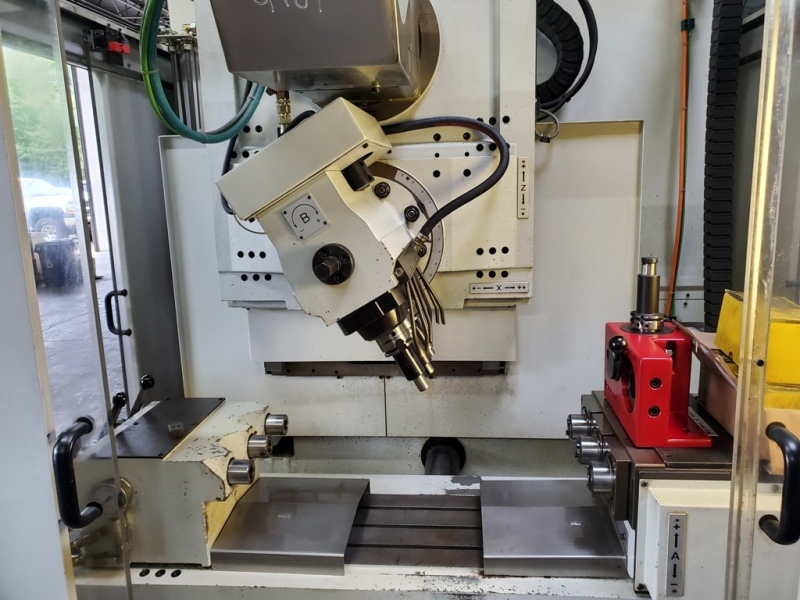 While the machine was primarily developed for the high speed cutting toll industries, it also lends itself to any round part that has slots, or helixes. 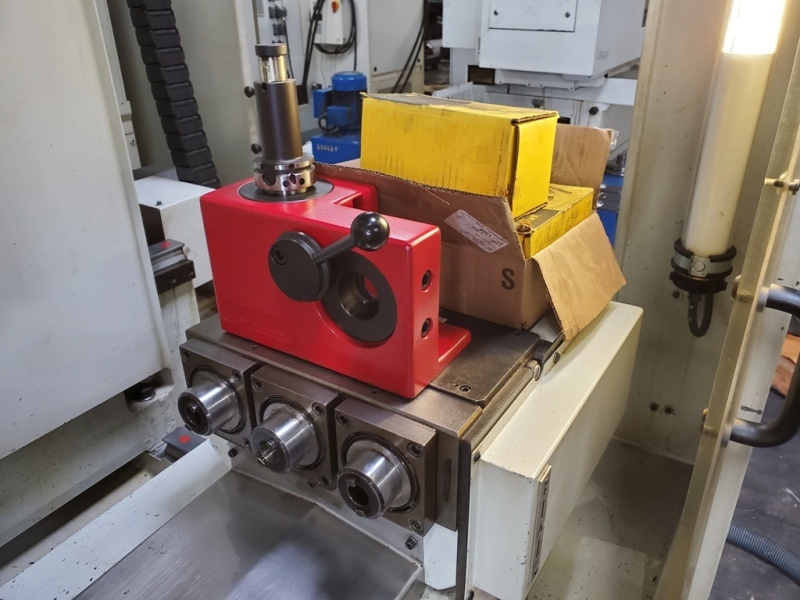 * The below specifications are from available literature and are best to our knowledge. 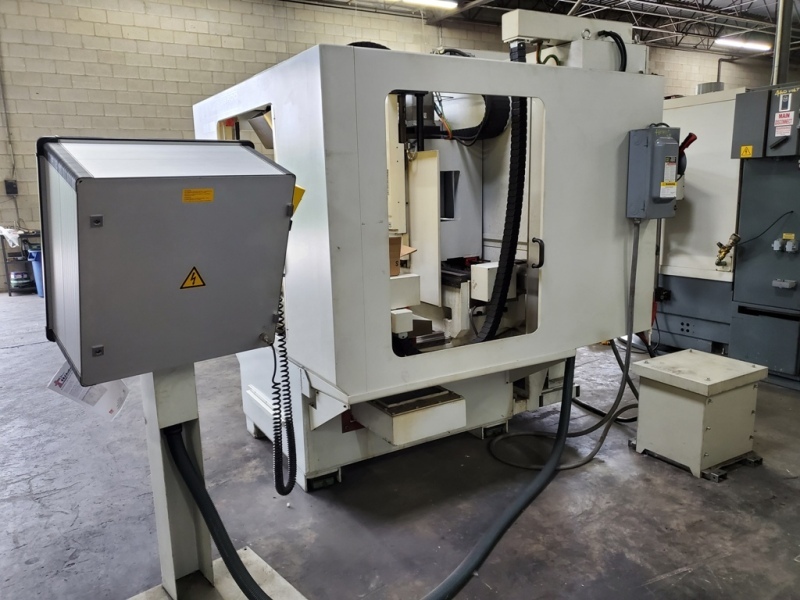 Center Distance Between Spindles: 4.3"
Machine with Chip Conveyor: 114" LR x 81" FB x 90" High x 9,000 Lbs. 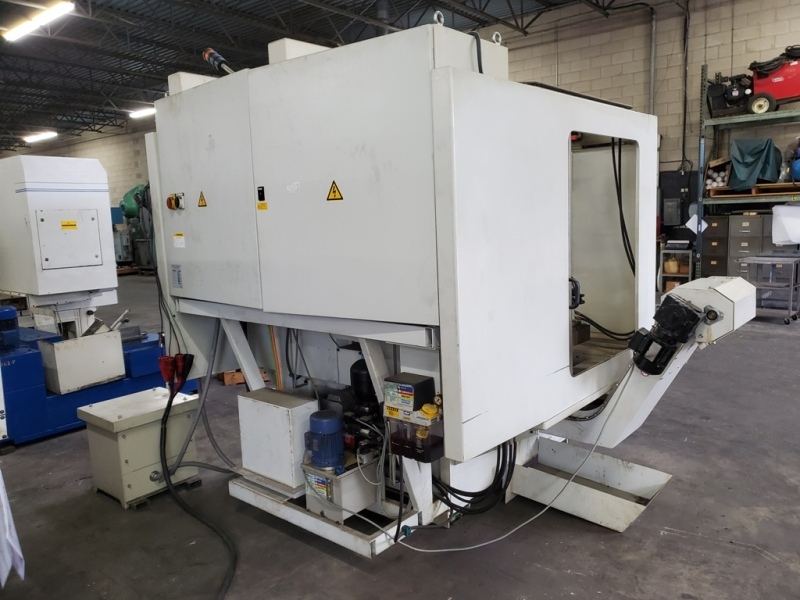 Operators Stand: 28" LR x 26" FB x 68" High x 150 Lbs. 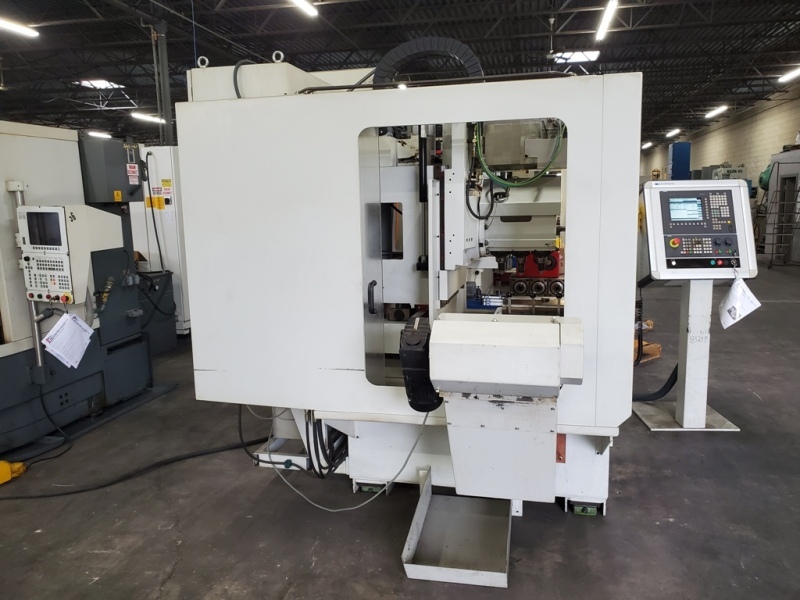 Transformer: 22" LR x 21" FB x 22" High x 150 Lbs.